Inventors: You can stop trying now. Your laptops cannot feed the world. Your smartphones are not crunchy AND meaty. The masterminds behind Cherkees have beaten you. Cherkees combines two of my favorite things, beef jerky and potato chips. Let me be absolutely clear. These are NOT beef jerky flavored potato chips. Cherkees are real beef jerky AND potato chips AT THE SAME TIME. (Emphasis Cherkees'. And a little bit mine.) 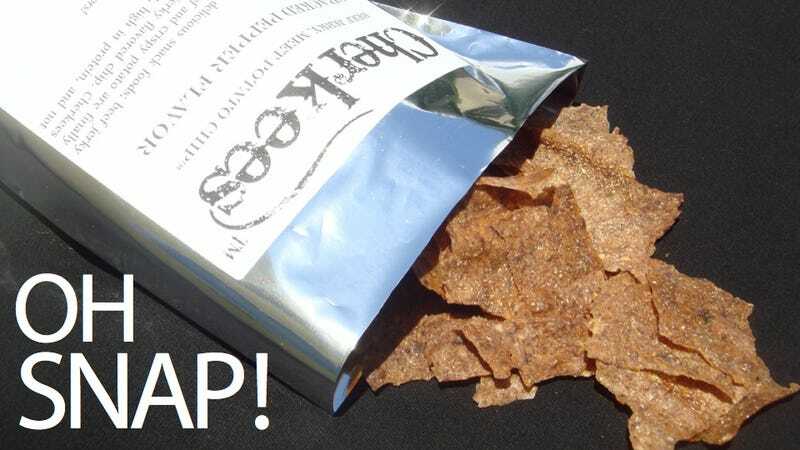 They are high-protein and low-fat just like beef jerky, but they're crispy and crunchy just like a potato chip. The only problem I have with these is that they aren't in my mouth right now.